Sydney with kids is so much fun! It is a magical city where you never get bored! 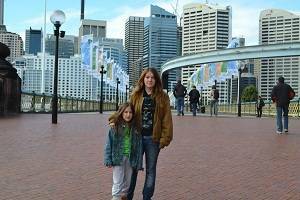 There are things to do in Sydney with kids of all ages. From the world famous zoo to the beaches, you'll love spending time in this part of Australia! Sydney Harbour Bridge is of course one of the most famous Sydney landmarks. It is the widest long-span bridge in the world. You can walk across the bridge with the kids for free. There is a climb up the arches available for older kids and teenagers (ages 10 and up). You will have an orientation on how to climb and be suited up with your harness. It is quite pricey though! 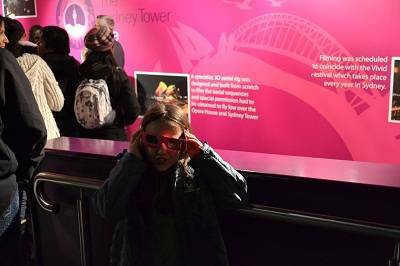 If you are traveling on a budget consider the Pylon Lookout climb at significantly cheaper prices, great views of the Sydney Harbour Bridge and suitable for kids of all ages. We had fun trekking across the bridge in the rain! It is a spectacular and beautiful sight! Coogee Beach is a great spot to visit with your children. The water is relatively calm here, there are lifeguards on duty and a shark barrier. There is a rock pool for your family to splash around in. Lots of great restaurants and snack shops here too. There is a lovely neighborhood nearby with lovely houses-great for a stroll. 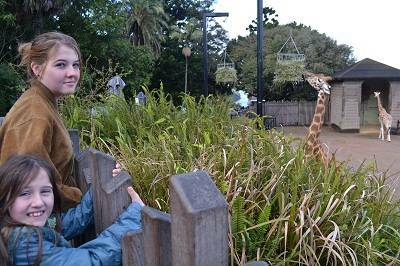 One of the best things to do in Sydney with kids! 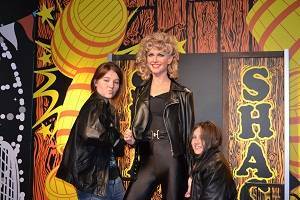 Madam Tussauds is a newly opened museum in Darling Harbour. We had so much fun here -it is really interactive and you can spend a few hours here with the 'stars'! Great costumes to dress up in and activities to make it even more real! Sydney Tower Eye in the Westfield center is a great place to see the whole of Sydney from a birds eye view. We went about sunset and enjoyed the stunning views- Sydney is really a beautiful city. Pack a picnic and go for a stroll in the Botanical Gardens. This is one of the best free Sydney attractions. 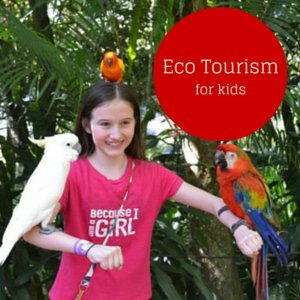 They will love seeing the colorful parrots and the colony of fruit bats (flying foxes). There are lots of interesting trees, plants and flowers to see too. There is a little red train that you can ride around the grounds. 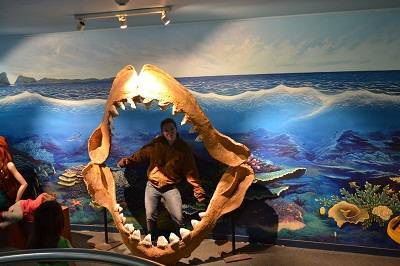 Australian National Maritime Museum is a fun family friendly Sydney attraction. There are several interactive exhibits for the kids. The museum is free however you can also tour a submarine, tall ship, and smaller ships for a fee. Bondi Beach is one of the liveliest beaches in Sydney with a great vibe. Teenagers will enjoy this beach. Lots of restaurants, cafes and beach shops nearby. This is a great spot to watch the surfers or for older kids and teens to take some lessons! Be careful of the riptides in this area. 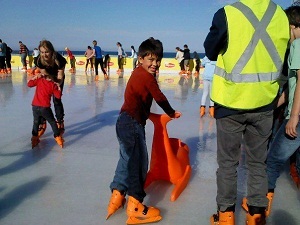 if you visit in the winter you can try ice-skating on the beach! 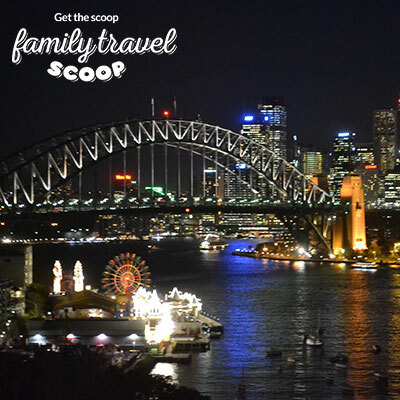 It's more fun in Sydney with kids! Visit The Rocks on the weekend. This area of Sydney is steeped in history. There is a great market offering souvenirs and other goodies on the weekends. Teenagers will adore the market and the funky shops! 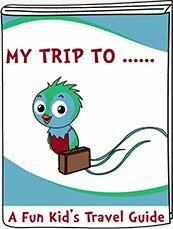 Don't miss out on visiting the puppet shop and didgeridoo shops-kids will love this! A visit to the Sydney Harbour is one of the must do. Stroll around the docks and check out the luxury boats. Hop on one of the many ferries or boats offering tours of the harbour. Walk across the iconic Sydney Harbour Bridge and see the world famous Sydney Opera House. There are lots of cafes nearby for a drink or something to eat. It is beautiful all lit up at night! Powerhouse Museum is an interactive science and design museum. Kids will love the space simulator, shiny locomotive, spy exhibit and the building and construction play area. Your toddlers will love the interactive music section. Great rainy day attraction! Chinese Garden of Friendship is a beautiful garden with ponds, pagodas, waterfalls and sculptures. Children will have fun spotting the water lizards, birds and koi fish. Don't miss out on seeing the jade carriage. Sydney Opera House is another famous Australian monument which has 1500 performances playing every year in the theaters. You can stroll the grounds for free. Skip the tour ($$) of the inside, as kids will most likely be bored. See if you can catch a child-friendly show while you are in town! We were a bit disappointed with the Opera House-it looks so small in real life and looks a bit rundown.....Read more here! Sydney Wildlife World is one of the best things to do in Sydney. Take a photo with the koalas at the rooftop koala exhibit and pet one, see one of the largest crocodiles, see red kangaroos and wombats too. See some of Australia's most venomous snakes, beautiful butterflies and some wallabies! We had a great time here. My daughter really loved the butterfly exhibition and the butterflies landing on her arm! Calmsley Hill Farm is a great way to experience rural life in Australia. Your children will love the tractor ride, milking show, working dog show and seeing all the animals. You can pack a picnic, eat at the restaurant or BBQ your own lunch. Great for toddlers and small children. You can even feed a kangaroo here! 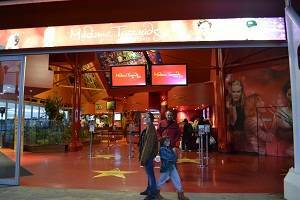 Sydney Aquarium is one of the fun things to do in Sydney with kids. 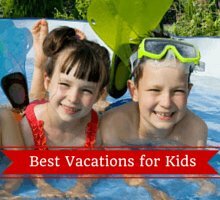 Your babies and toddler will love seeing the colorful fish and the touch tanks. 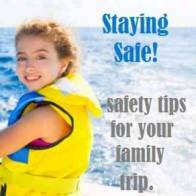 Children will enjoy the sharks and dugongs (similar to sea cows). There are underwater aquarium tunnels to explore as well and a souvenir shop. Read more about the aquarium here! Explore Sydney on a bike tour. The kids will love riding across the bridges (bike lanes) and along the harbor. Snacks and water included. Children are welcome -be sure to book in advance to reserve the children's bikes. Manly Sealife Sanctuary is a great aquarium in the lovely seaside town of Manly. A 30-minute ferry ride to Manly and a short stroll to the sanctuary is well worth it! Make it a day trip and spend the day on the lovely beaches and enjoy the many cafes/ The Sanctuary is amazing and has life exhibitions. There are penguins here as well which was quite exciting! One of the best things to do in Sydney with kids. 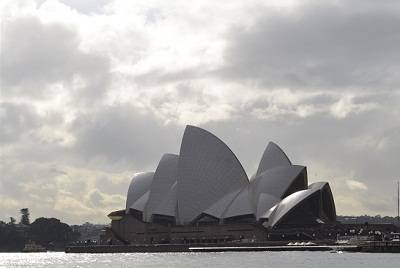 Join the free walking tour of Sydney. This three hour easy walking tour will bring you by the Sydney Opera House, Harbour Bridge, The Rock District and Hyde Park. Tour operates twice daily. Guides work on tips only! 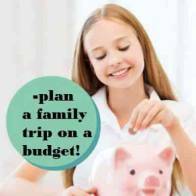 Enjoy a day tour to the nearby Blue Mountains with the kids. Feed the kangaroos, pet a koala and hang out with the emus. Children will have fun learning how to throw a boomerang and riding the steepest railway in the world where you will enjoy beautiful views of the Blue Mountains. After enjoy cable car rides and a ferry ride in Sydney Harbour. The Tribal Warrior Cruise is one of the best ways for your children to learn about the Aboriginal culture. Your family can experience the dance and cultural show on the island stopover. The didgeridoo demonstration will be a highlight! Jamberoo Recreation Park is located 2 hours from Sydney and makes a great day trip. This water park is open September to April. There are thrilling water slides for teenagers and older kids, mini slides for younger children and toddlers. Babies will like splashing in the pools here. There are also bobsled rides, race cars and mini golf. Hop aboard a Captain Cook Cruise for a lunch or dinner cruise. The kid will love exploring these beautiful boats and seeing the views of Sydney. You might even catch a glimpse of a dolphin swimming by! We went on the coffee morning cruise and my daughters had a great time talking with the lively tour guides and learning about the harbour, seeing the homes of the rich and famous and being out in the harbour! Try these Australian foods. Pick up fish and chips and enjoy a sunset at one of the beaches. Stop by a cafe for a tasty Aussie meat pie!